Soon, your life must fit into a backpack. You will quickly realize the true definition of simplifying. You are going to have to carry everything you own on your back. Better choose well. While you should ensure to have the best gear for your trip, once you place an item in your bag, detach yourself from it. If you are attached to it and would be upset if you lost it… Dont pack it. The less attached you are to your stuff, the less stressed out you will be. These clothes you will have to wear repeatedly for 365+ days. Think comfort. Think color coordination. Think dirt. You want all of your clothes to be able to mix and match with each other. I love dresses when I travel because they are an easy outfit for the day. Find clothes you feel comfortable in, can hold up for walking miles and sitting on 14 hour bus rides. Depending on the countries you are visiting (Southeast Asia in particular), conservative clothes can be very important. Personally I didn’t think through this as well as I should have, and brought the same sun dresses that I would wear at home (I ended up sending these home). For women, shoulders and knees are not body parts you want to be flashing around, nor cleavage or tight clothes. You want to be respectful, if not you will draw much unwanted attention. I quickly bought some new dresses while I was on the road that were more conservative. You don’t have to wear a potato sack everywhere, but keep your cleavage covered, and try to avoid flashy or tight clothes with your shoulders or knees showing. Your clothes will get filthy, and while you can do laundry, the sweat and dirt will change your clothes and they will never be the same. You will want to buy things along the way. The markets offer all types of clothes, handbags and shoes. I am not a big shopper but it was fun to see something I liked, negotiate for it and walk out with something new. Leave space in your bag as you accumulate things, or plan to get rid of the old stuff and switch it out. Some items aren’t classified under wants, but needs. You need hiking boots to hike through Patagonia, but are you going to carry heavy hiking boots around for 8 months until you need them? You might be traveling through Southeast Asia during the “sweat” season and then heading to Antarctica and need a winter coat. It doesn’t make sense to lug it around until you need it. Add these items to your budget and plan to purchase them on the road, sometimes for cheaper than you can buy them at home. Some people follow summer around the world so don’t have to worry about the changing climates. Do your research and know where you are going and what clothes you will need. Don’t just assume it will be warm everywhere! We spent 5 months in Southeast Asia and then traveled to Africa during the winter. Luckily, Josh’s family met us in Thailand and traveled with us for a week prior to leaving for Africa. We had prepared items for them to bring us for the change of season and sent home items that we would no longer need or were just so worn out they weren’t worth carrying around anymore. We used the Babakoto Travel Planner to figure out the climate based on our itinerary. You decide how connected you want to be. Are you going to seek out Internet cafés or are you going to insist on wi-fi in your guesthouses and hostels? Do you mind lugging around your big DSLR in hopes of better photos or are you going to stick with a simple point and shoot? We went all in with two laptops, two kindles, a DSLR and point and shoot camera, one phone without a SIM card, iPods, external hard drive, the works. 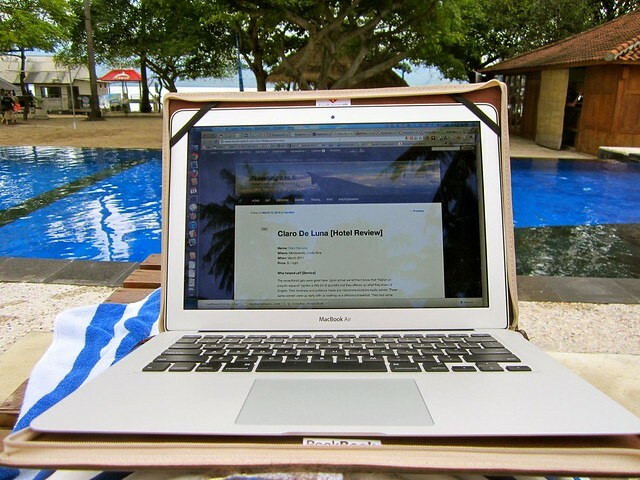 We planned to maintain our blog consistently and wanted Josh to be able to work on web development. We both are we don’t mind carrying the extra weight. You must be extra careful bringing electronics with you as it gives you more expensive things to lose or have stolen. If you’re going to be taking a lot of photos, make sure to buy the biggest SD cards you can afford. We had two Class 10 8GB SD cards and a 500GB rugged external hard drive to back them up. For when we had fast enough Internet, all the photos were uploaded to Flickr Pro and CrashPlan+. The key to deciding what medications and health care products to bring with you is: accepting that people in other countries do brush their teeth and get headaches. They wear contacts and wash their hair on a regular basis despite any prior stereotypes. Bring what you need, but when you are looking for additional space in your pack remember that running to a mini-mart in Vietnam is just as quick as running to Target in the States, and probably cheaper. You just may need to play charades to get what you need. For liquids, you have to decide whether you are going to check your bag or not. We chose to travel with two carry-on sized bags in order to avoid having to check them. This means you are subject to the 100ml limit in your carry-on baggage. Josh wears contact lenses and prefers the Clear Care cleaning solution. It’s pretty hard to find outside the U.S. We found it in Singapore and Bangkok, and were lucky to have our family bring us some extra when they visited. By the end of the trip in South America, it was nowhere to be found, so he had to switch to another brand for a few months. We would only buy a large bottle of it when we knew we wouldn’t be flying for a few weeks and then would split it out into separate smaller liquid bottles in order to be able to get it on the flight. If you aren’t willing to make exceptions on brands than make sure you pack a lot and plan to have additional replenishment sent to you on the road. If you need prescription medication, either bring a year’s supply or make sure you can get it at pharmacies in the countries you’ll be needing it in. We were able to re-up our doxycycline anti-malarial medication for super cheap (2 THB per pill) in Bangkok without a prescription. You may be able to get medication shipped from home, but be sure to check on the laws in whichever country you are in so it doesn’t get held by customs. More specifically on prescribed medication when you first start a long-term trip your backpack can quickly look like you are smuggling massive amounts of a variety of drugs into the countries. Most likely you won’t get stopped by security but if you do I recommend having copies of your prescriptions to prove why you are stashing all the meds. Depending on your schedule I would skip loading up on travel size items before you leave and worrying about fitting them into a 3 oz bottle. Make one of your first stops at the market to pick up all of the shampoo and soap you need in regular-sized bottles for usually cheaper prices. I was given Goo Tubes prior to leaving and I love traveling with them! Label your medication. In order to save space we did some consolidating of pills but make sure you label what is what and what color each is. At the time it seems obvious that the large white tablet is Tylenol and the small white one is diarrhea medication, but a few months into the trip you can quickly forget this vital information. What Am I Going To Carry All This In? You pack it. You carry it. Inevitably you won’t use everything you pack. Most likely half of what you pack, which is why you hear so often pack your bag and take out half. As mentioned, we committed to carry on our bags. 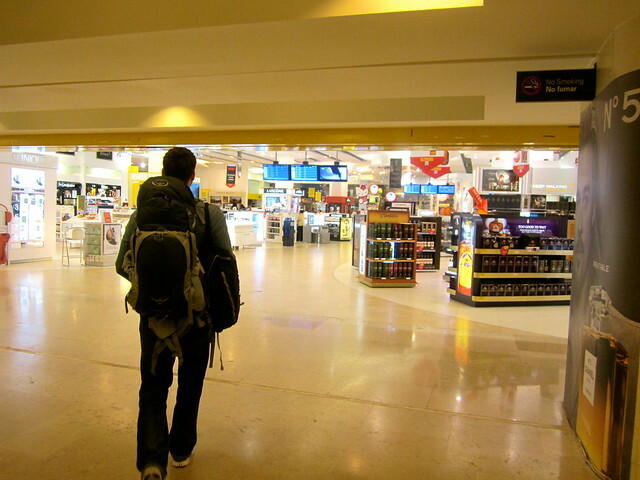 We wanted less hassle at the airport and less weight to carry around when we travel. Luckily we did a great job packing and ended up using basically everything we brought. Yes, we have matching backpacks. We opted for the Osprey Stratos 36 liter pack. Our tennis shoes and Tevas fit perfectly at the bottom, one double-sided packing cube fits perfectly on top of that and then our bags of cords and electronics and extras on top of that. The front pocket holds our rain jacket, sleep sheet and smaller items like underwear, bathing suits, and socks. Perfect fit, and the bags are so light we hardly notice them. One feature I would suggest looking for is a rain cover for your bag. We used the rain cover all the time. Every overnight bus, train trip and questionably clean hostel our bag is thrown around and left on all types of surfaces. Our rain cover has seen better days, but we are happy to ruin the cover and keep the bags in better condition. We assume it is much cheaper to replace the cover than the entire bag. 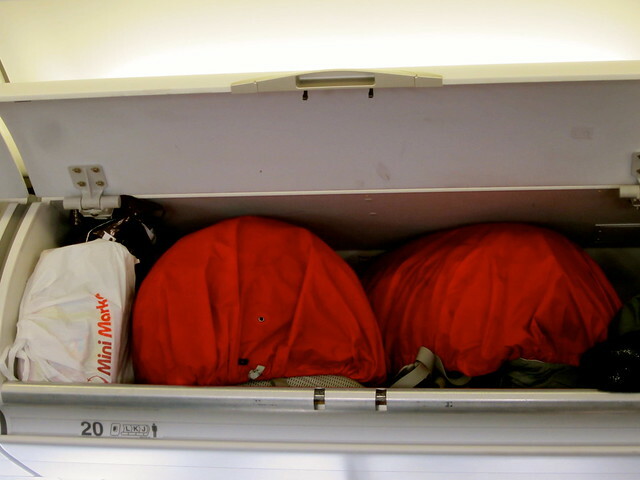 A few times we were forced to check our bags on small flights and we always covered them to protect the bag. The Osprey Stratos 36 has a sweat blocker on the bag that allows air to flow between your bag and your back. When you get lost in a new city and are walking for 3 – 4 miles with 12kg on your back, this extra space comes in handy! What Documents Do You Need To Travel With? Obviously keep this with you and guard it with your life, every International trip and guesthouse you go to will ask for it so be ready to produce it often. Technically you are supposed to keep it on you wherever you go in a foreign country, but we usually felt safer having it back at our accommodation either in a locked safe or other safe place. We never had any issues, but use your judgment and don’t leave it if your guesthouse or hostel doesn’t feel safe. 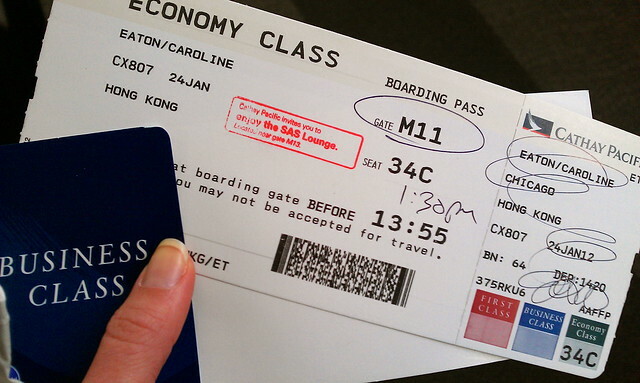 Not every traveler carries this but we opted to spend the extra $25 for the piece of mind. 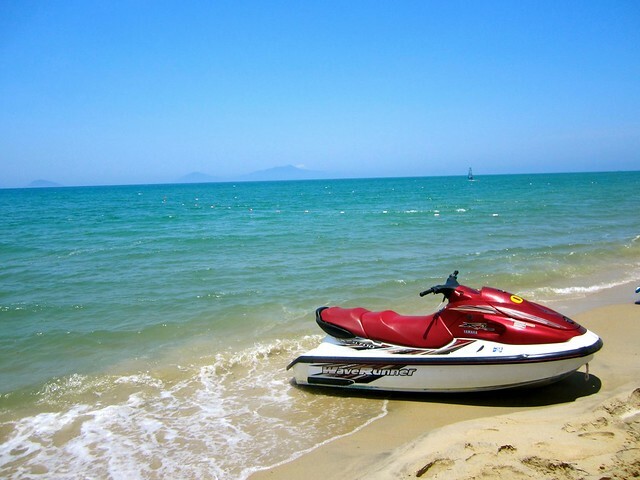 In some countries, the police are out to get foreigners renting motorbikes and driving without the correct license. We figured it could come in handy if we were pulled over during our 3 week self-drive safari It’s also a nice secondary ID you can use when you don’t want to hand over your passport as collateral. Stop by the nearest AAA office, bring a passport photo and you can get your international drivers license in a couple of minutes and avoid a lot of trouble when you get pulled over. If you are going to parts of Africa and South America, you will need to carry this yellow booklet with you showing you are up to date on your yellow fever immunization. It wouldn’t hurt to carry around your immunization history either. Another non-required travel document but good to have if you need to prove why you are a walking pharmacy or if you run out of the medication and need a doctor to be able to read what is in the medication to prescribe a match. You might need to show proof of onward travel to the Immigration officers when you are entering the country. Have a copy printed out to clear up any confusion as to why you only have a one-way ticket into their country. These are just precautionary. I still have yet to use them, but there is a peace knowing they are in the back of my bag if anything did happen and I needed them. We started picking these up along the way when we realized how useful they were. I can’t even list out how many ways we have used them, grab a few of them and you will quickly find creative ways to hold your stuff together. Another thing that you can’t have enough of. Of course you need your one to get through security but after that it can hold liquids, big ones can hold dirty clothes or act as packing cubes to help keep your socks in a central place in your bag. Things fall apart. Duct tape them. Something’s broken. Duct tape will almost always fix it. Need a band aid? Duct tape it. Lost your wallet? Make a duct tape one. Seriously this stuff is magic and only limited by your creativity. My sarong has been through everything with me. I wear it most mornings for breakfast, it’s something easy and conservative to cover up with. Usually I call it my laundry outfit while everything else is cleaning it is my dress for the day. Beach cover-up. Beach towel to lay out on and dry off on. Blanket on cold bus trips. Something to throw over my shoulders or knees when I am going into a temple that requires you to cover. It is the most useful thing a woman can travel with. This was our last minute purchase that has saved us on certain nights of our trips. Most the time we spend a bit more to stay in nice places ($25 vs. $10 🙂 ) that we trust to wash their sheets well, but when you travel you never know what to expect. We have run into a couple of hostels that I barely wanted to lay in my sleep sheet on their bed. It was bad. But having that sleep sheet helped me sleep a couple of more hours than I would’ve without it. Packing for your trip is one of the most important steps of planning. Take the time to research what you will need and start packing well in advance! A well-packed bag makes a huge difference on your travel stress during the trip. Hopefully this trips help you plan your next RTW adventure! How do you decide what to pack for a trip? We agree, In the big cities people wore pretty much anything. The further we traveled into smaller towns and more remote areas, the more conservative people dressed! I can’t believe you get by on 36L! That’s amazing, I’m taking a 60L pack this time ( 2 years plus), last time it was 65L ( 12 months multiclimate). My trekking pack for the Annapurna Circuit was 45L! I just think that the amount of time you actually spend carrying your pack is fairly minimal, never more than half a day, you won’t be hiking in it, particularly for us, as we are travelling with children who won’t want to walk far, so I’d rather carry more and have what we need. If it works for you, that’s fantastic,It would be great to take your pack as carry on, but I’m fairly sure I’ll be filling that 60L. I’m trying to work out what I take that you don’t, I think it’s down to size of clothes, I don’t wear dresses or shorts,I keep the sun off, so my clothes probably take up more space.There will only ever be one pair of flip flops in the pack, so it’s not shoes. Lets see how I go when it’s time to put my stuff in that lovely new pack! This is literally the best, most comprehensive list of packing for RTW travel I have seen. THANK YOU!!! I am planning to leave for a RTW trip in mid-June and (as my type-a personality predicts) am appropriately frantic. Suitcase? Backpack? Willi I get sick of wheeling a suitcase? Will a huge backpack hurt my back? I am notorious for overpacking, so this is an incredibly helpful post. I am heading to Central America and Peru for 5 months. I’m not really a backpacker but a flash packer so I know I’m not going to want to get around in the same clothes most of the time, except on my trek in Maccu Piccu. I already had a 45litre backpack and bought the latest craze of packing cubes, love them, and then tried to fit them all in the 45L pack. No go! So I then decided to upgrade to a 60L which they all fitted into nicely including a small daypack for the electronics and carry ons. That worked fine but when I put it on my back, OMG was it heavy! So I thought I would invest in one of those old trolleys before suitcases had wheels, to wheel around my pack when I was walking long distances, not hiking. After researching endlessly on the Internet (I’m living here in rural France where not everything is readily available) I found that they were heavy and quite expensive 25-35 euros but would save my back. So I went to a local chain store looking for them but came across a large duffle bag that my pack would fit into but still under the size for the flights I had booked. Wahoo! Problem solved and for 25euros! Not only did it fit my 60L backpack but also my daypack and jacket for when I am walking to and from flights or hostels and hotels. It will keep my backpack straps securely wrapped up in the hold of planes and bus trips luggage storage and I can keep unnecessary items stored in it at the hotel when I go on my Maccu Picchu hike, then ditch it when I no longer need it at that cost. I won’t be doing too many hikes with the backpack but I am doing some sailing trips as crew in the Caribbean where it’s not possible to bring a suitcase. I know it’s extra to carry initially, it weighs about 2 kgs itself but certainly will save a lot of backaches .. (I hope) .. I am yet to see of course and I will repost after my trip to see was it a good or bad idea. My Over50sflashpackerdiaries blog soon to be published on the web.